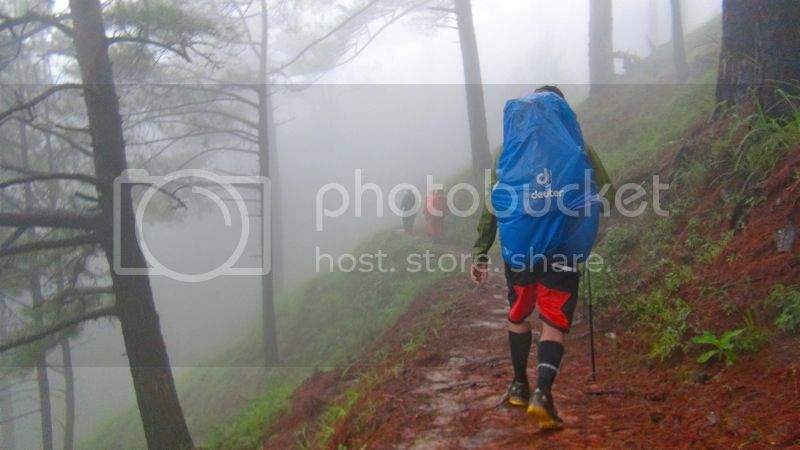 on our second night on the slopes of mount ugo, a mountain with pleasant trails straddling the towns of kayapa in nueva vizcaya and itogon in benguet, my trainees and i sat on a groundsheet with our backs against our tents, staring, it seemed, at the unchanging landscape that was the pine forest. in the moonlit evening peppered by indecisive rain, we could only see the faint outline of very erect trees. in the background, other groups were screaming and celebrating their triumphant treks, although we were content in exchanging stores about previous trails and travails, while a small metal jigger exchanged lips. 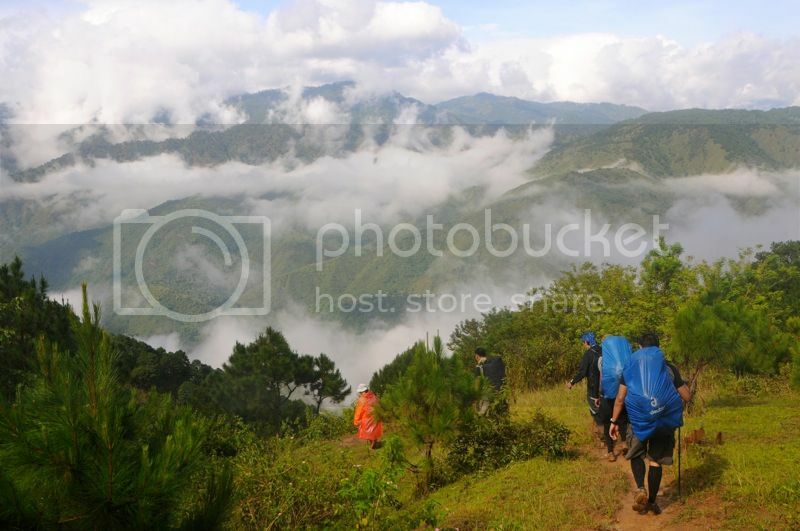 as i explained during the post climb the following day in baguio city, mount ugo has no particular appeal for me. 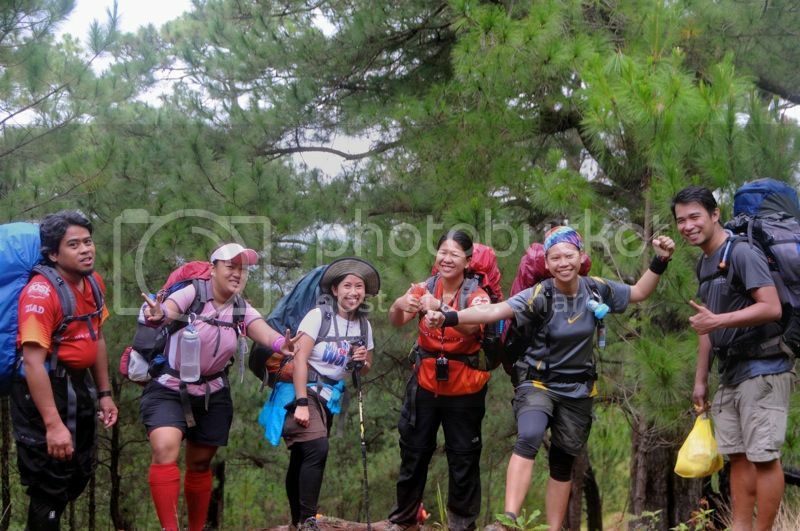 it is an overnight climb tenuously stretched over 3 days, with a singular challenge happening on the first day: the climb from the poblacion in kayapa up to indupit, and the back-breaking ridge assault on what we call tey’s revenge. while i willed my tired, exhausted body up this steep trail while being assaulted by gale force winds, i heard someone cry out: i’m gonna kill tey! i explained that tey didn’t make the trail -- it had been there before he first set foot on the mountain, although that is what it’s called, and many other mountaineering groups recognize the name. everything else on mount ugo is an easy hike on local trails. the route that traverses the mountain passes through small villages nestled in the most unexpected of places. which is not to say that ugo is lacking in beauty. like many mountains that belong to the imposing range of the cordilleras, ugo has its particular charm. it is unfortunate, however, that last i saw it was in 2006. i have been to ugo only four times: in 2005, before i joined AMCI, as part of the first BBBS, then the following year for 2k6’s TC3, then in 2011 for their TC3. in my last two visits including this one, we were pelted by rain and whipped by an angry wind. the immediate surroundings were cloaked by a thick curtain of fog, and nothing could be seen beyond 10 meters. 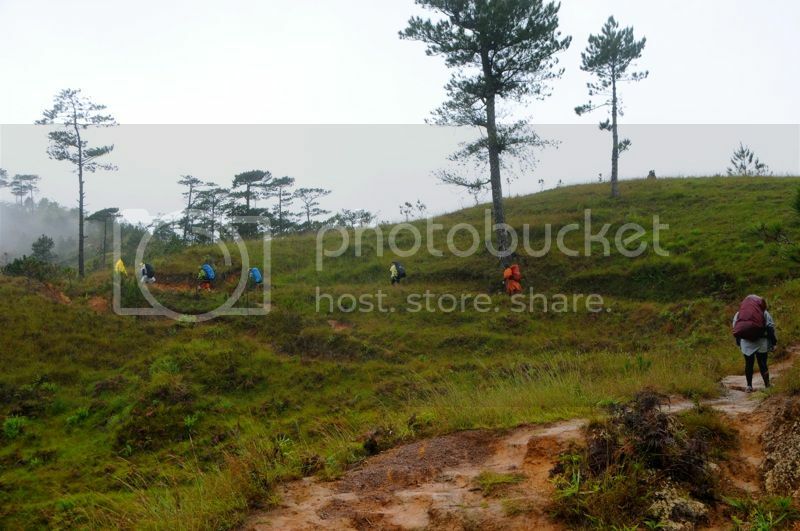 the trails on mount ugo have been there since the ibalois carved settlements on either side of the traverse, but it began to draw mountaineers immediately after recovery teams were formed following a fatal plane crash in the 80s, and they brought back stories about a mountain close to baguio city. 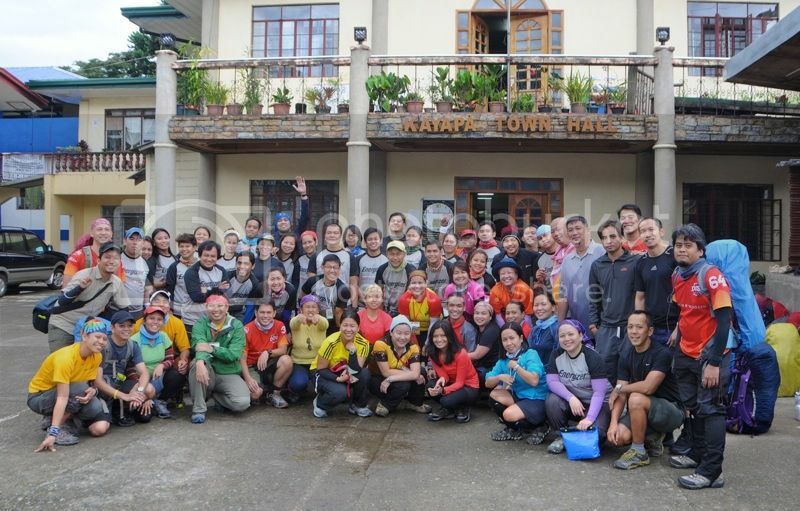 since then, the mountain has seen many visits from city dwellers, and in the latter part of the last decade, the barangays have organized locals into an association of guides to take mountaineers up the mountain and across to a town an hour away from baguio city. in fact, the village of tinongdan, where traverses from kayapa end, has built its barangay hall, it seems, in order to welcome the huge assemblies that visit their backyard all year round. they’ve improved a lot since my first visit, and now even present a slideshow meant to inform visitors about the attractions in and around the area. for this climb i was grouped with 9 trainees. 2 of my 2k5 batchmates also joined. i had few problems with the group: they were strong and well-equipped, and willing to volunteer ideas. we hatched a game plan even before we departed manila. on a balmy but promising morning, we were deposited at the bus stop in aritao, where our stormy, but still memorable weekend began. 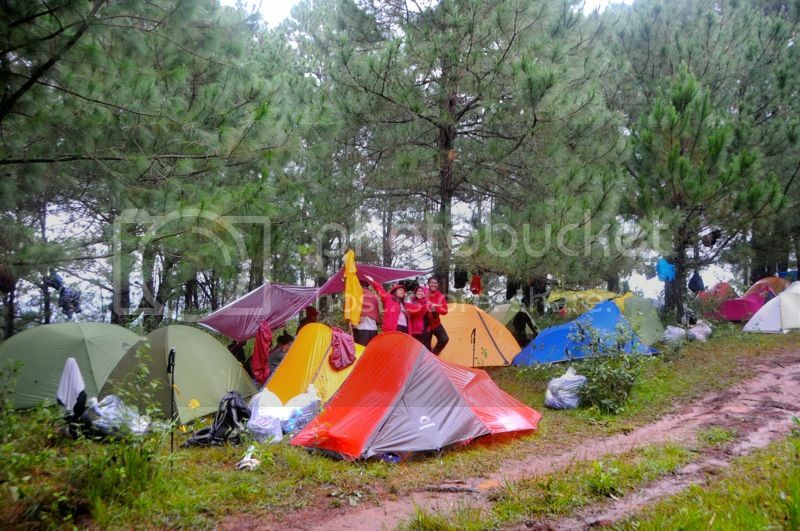 i told everyone that there was no rush to reach the campsites, emphasizing that it was more important to climb in chunks, if not as a group. 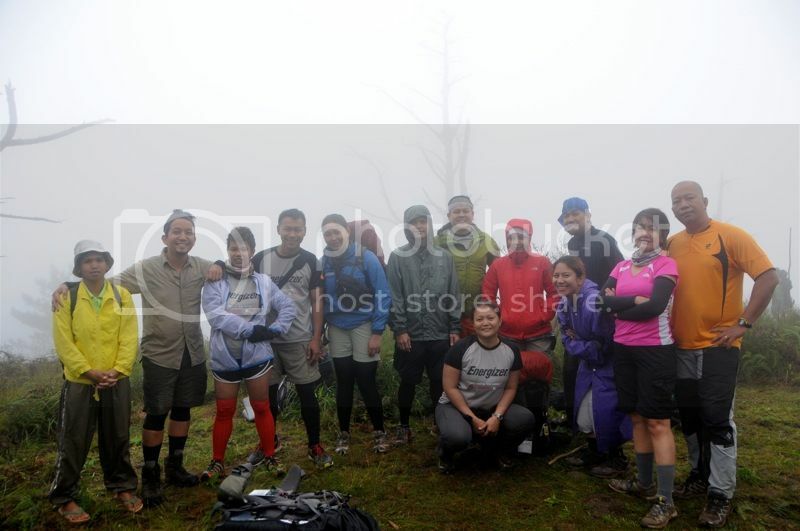 we reached a fog-wrapped indupit after leaving the poblacion holding on to the promise of perfect weather. from there, we girded a wide open trail that had been carved from the mountainside. 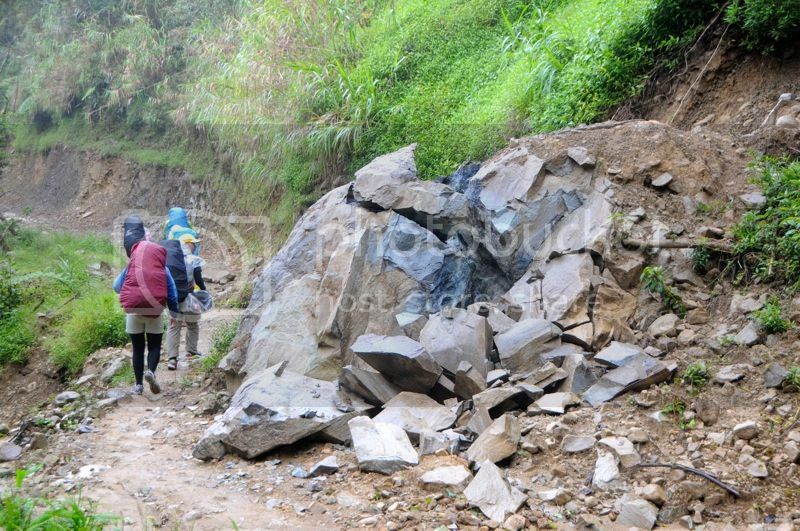 although recent landslides have made the route impassable to four-wheeled vehicles, its recent expansion was evident. in 2005, this was just a foot trail marked by waiting sheds that also serve as markers for our progress. the trail funnels again after the fourth waiting shed, and snakes past ansipsip school, stretching out, away from domolpos, bringing us to the foot of tey’s revenge. though comparatively short, tey’s revenge is no less difficult. it is a brief but steep and punishing ascent to the summit, and on our particular assault, we were pounded sideways by winds that seemed intent on blowing us off the exposed and narrow ridge. there is a less steep way somewhere that i have not climbed, but the weather cooperated in making the ordeal all the more challenging. it was as if all the challenges had been collected during that hour -- at a time when our heavy loads were burdened even more by at least 2 more liters of camp water. we put down our bags near the AMCI e-camp, and i jokingly declared that our group would spend the night there. 5 minutes later, i was thrilled to find out that the TL had actually decided to cancel the summit push, at least where my group was concerned. it was only a little after 2PM, and already, we were starting on dinner. despite the occasional gusts of wind that pulled out pegs buried deep into the ground, it was a steady evening that allowed us to have a hearty dinner and a prolonged socials, which was punctuated by both laughter and drama. eventually, we ran out of alcohol and were sustained mainly by stories. my trainees refused to be tucked into their temporary beds, and i still had to stay behind to secure our kitchen against the possible attacks of cows. i was so paranoid about food and clothes getting masticated by ugo’s bovine residents that i woke in the middle of the night when i heard what seemed to be the chime of a bell. obviously, my cultural references are very western. we woke up later that morning while it was still dark. the campsite was quickly fixed and although we struggled to prepare our unique breakfast which consisted of french bread and spam, we all managed to chew on something even as the fog creeped into the seams of our clothes. 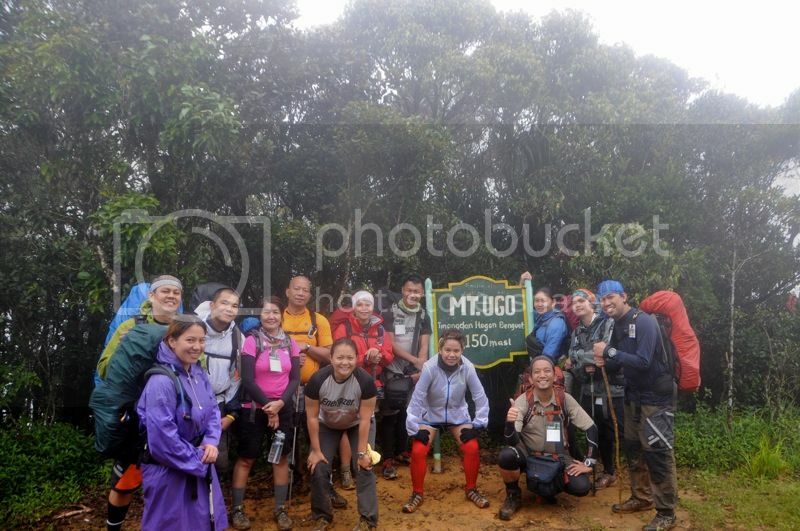 there was still a brief push to the summit where another group had camped, to have a photo at the marker, before descending to ugo’s benguet side. while we slowly marched towards lusod, the wind howled -- its shrieking sound rolling over the steep slope which was soaked in september rain. 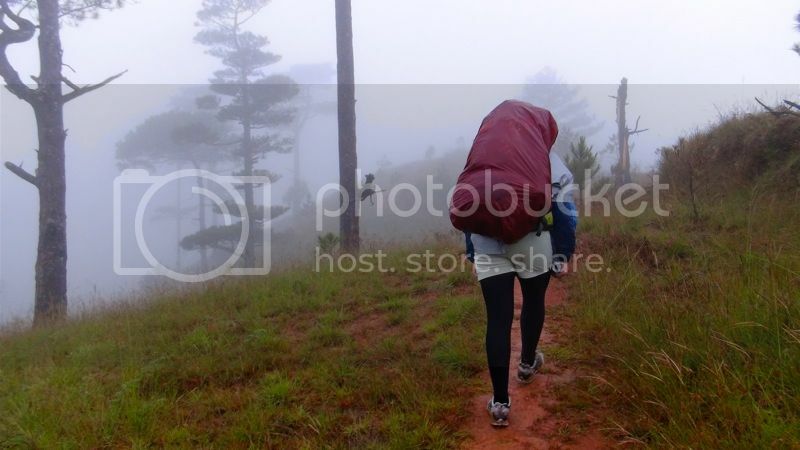 we could not stop at any time during the trek and we moved with haste towards the old saw mill where the weather suddenly allowed a glimpse of the pretty pine forest that characterized the entire trail. 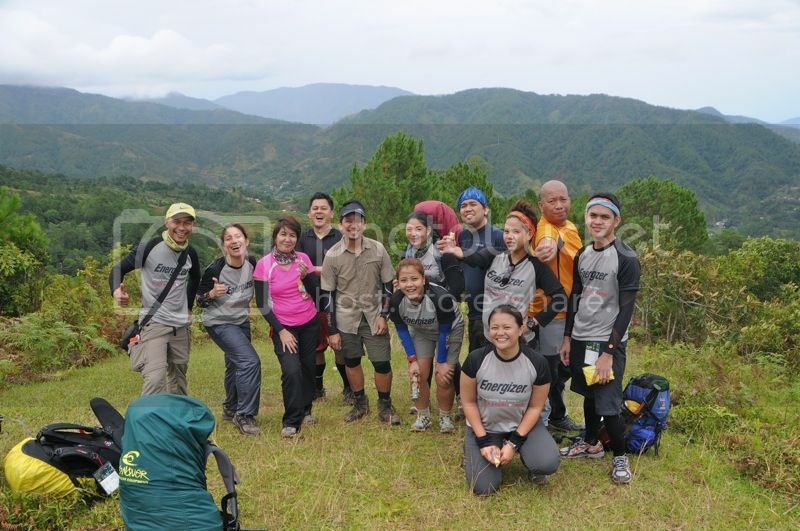 we regrouped at sitio lusod to heat lunch, cook rice, and load up on water. the only sari-sari store had no inventory that was useful to us, although the locals offered us freshly-brewed coffee which i had none of. 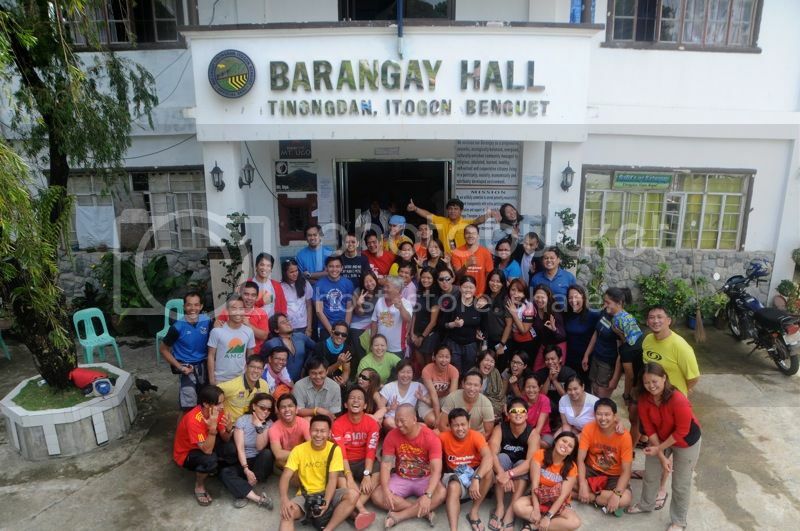 my group stayed there the longest, but our wait was rewarded by hot pork binagoongan and freshly-steamed rice. bajay’s campsite was less than 15 minutes away and we were in no particular hurry to get there. it was not even 2 in the afternoon. finally, while many of us allowed lunch to settle, i towed one of my trainees and proceeded to find a spot to pitch a tent before rain started to fall again. although the sky was starting to clear, threats of souring weather consistently hovered over us. it was still very early when we paraded our bottle of johnnie walker double black. we had to temper our desires the previous night in order to enjoy the brew’s bold flavor. we were accused later that evening of being anti-social for not visiting other camps, but without any prodding on our part, the socials ended around our tents, since we still had some alcohol when all other groups had already none. since no lights out was declared, we just stayed glued to our spots allowing the night to deepen around us, content, it seemed, to watch the unmoving outlines of moonlit trees in the distance. we were sufficiently buzzed when we finally crawled back into our tents, only to wake in time for the final trek to tinongdan. after about an hour on the trail, the sky finally revealed the sun, and clouds cleared to show off the mighty ranges that extend outwards in all directions. 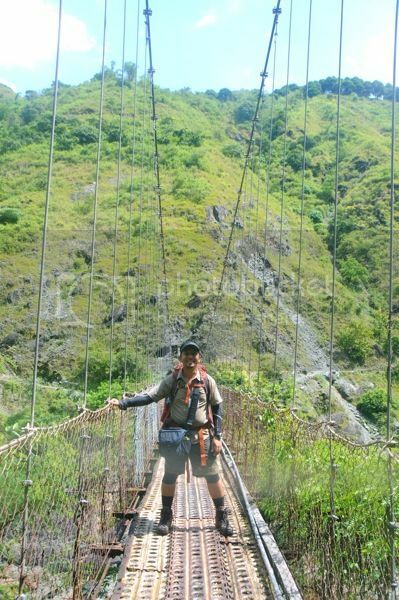 we were walking down the muddy trail, guzzled sodas from the local store, walked past green terraces, and reached the end of the trail past the hulking hanging bridge that spanned a mighty brown river. the trails were filled with light-hearted laughter as the friendlier weather allowed us to take notice of our companions and the the things around us. normally, we just focus on our footing. with the final jeepney ride up to tinongdan proper, we watched as the mountain that offered us obscured views and spotty shelter during the last 3 days sank further away. as i bullied my way to a quick bath, i managed to reflect on my last escape, realizing that i haven’t carried anything quite as heavy since december, when i traversed mount purgatory. 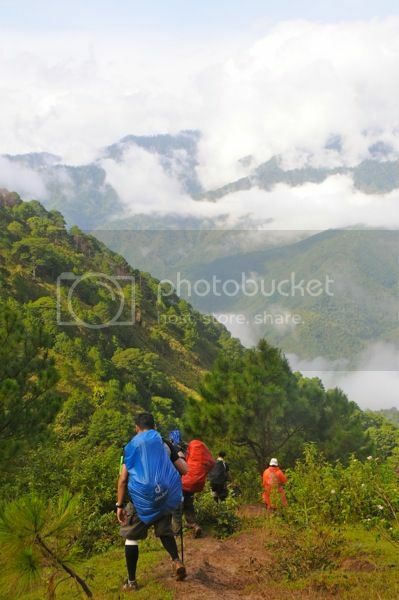 while ugo’s challenges are mild in comparison to other mountains in the cordilleras, it continues to charm mountaineers for its accessible beauty. i may not have made myself clear during our our post climb when i said that ugo does not occupy a high place in my list of favorite mountains. perhaps it is because i am selfish, and choose to submit myself to suffering in order to see beautiful things, because i know fewer eyes have seen it, and that makes the experience even more special. nonetheless, i welcome any chance to step foot on a mountain. even those for which i have no particular attraction.